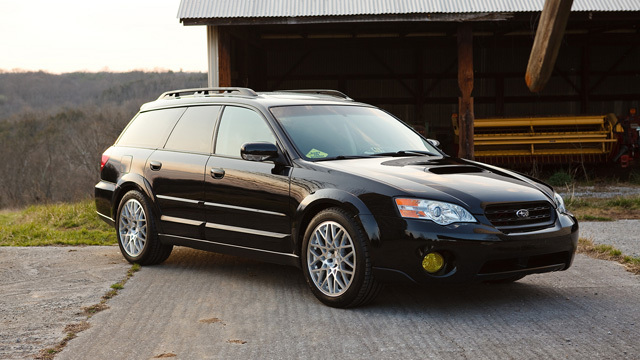 We are huge Subaru fans at Adams Autoworx, and Subaru Outback is no exception. Whatever your Outback needs – we can take good care of your car. Minor service, or major repairs, we are here to help. Subaru Outback, when first produced, was a revolutionary design, providing popular SUV traits, without many drawback associated with SUVs. Still, like any mechanical device, it has occasional problems which necessitate repair shop visit beyond the regular oil service. Recently Outback had a few bad years. 2015 Outbacks had electrical system issues, 2014 Outback can hesitate when accelerating. 2013 Outback experienced excessive oil consumption. But four previous model years – 2008-2012 were pretty trouble free. Outback is fun to drive on and off-road. But before you head out into the deserts of Nevada, or the wilds of the Bay Area freeways, consider bringing your Subaru to Adams Auto Care for a thorough inspection and oil service. We recommend synthetic oils, as they tend to stay “slippery” longer, and extend the life of the engine. Having regular oil service is the greatest gift you can give you Outback. And if it should turn out that it needs repairs as well – we can do those as well, and have you back on the road usually the same day. So give us a call or schedule an appointment online. Adams Quality Auto Care is here to serve you.